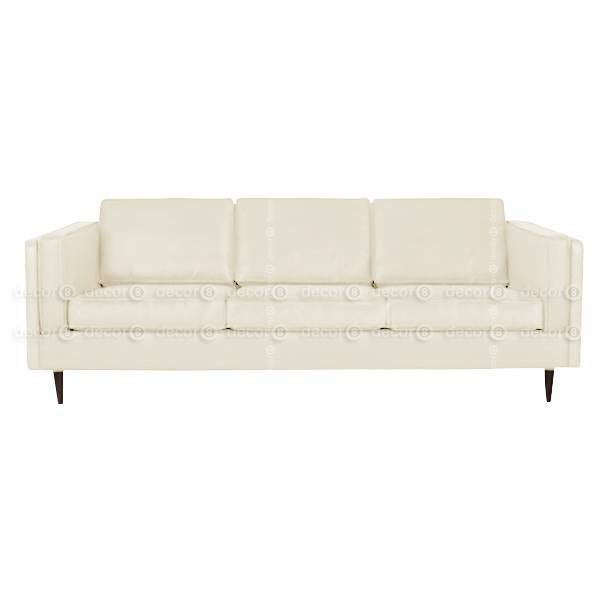 The Decor8 Kaiser 3 Seater Contemporary Sofa is a simple and beautiful sofa. Clean and casual design that looks great in any living room. Available in synthetic PU leather or genuine leather in a wide range of colors. The frame is constructed from high quality timber with premium foam upholstery. Luxurious, sophisticated and stylish, it makes for an eye-catching accent piece in any space. Wide selection of leather swatches available for selection at our showrooms. Other custom widths may be available at Decor8. Please contact customer service for details.